If you need advice on how to install laminate flooring on concrete you can find many information on our site. If you are still not sure how to do the job, it is best to seek help from professionals. 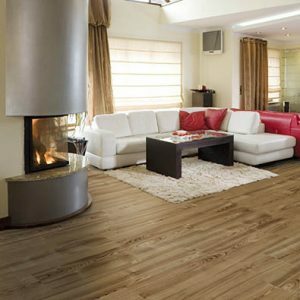 They will correctly lay the laminate flooring which will ensure long life span of your flooring. Use of high quality underlayment is strongly recommended. Humidity can damage tiles to a point they begin to swell and gaps between tiles start to occur.